The official video for "Heavy Fire", the title track of the third studio album from BLACK STAR RIDERS, can be seen below. The disc will be released on February 3 via Nuclear Blast. 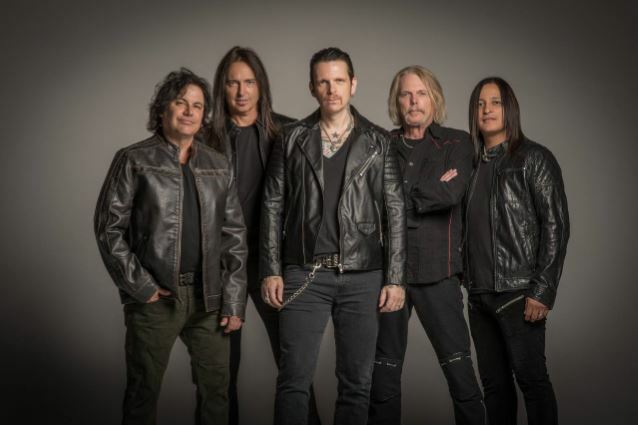 BLACK STAR RIDERS frontman Ricky Warwick comments on the track: "Only fools would believe that rock 'n' roll can rejuvenate a world in the throes of a collapsing civilization that's coming under heavy fire from all asunder. But what if the would-be fools are right?" 2016 saw BLACK STAR RIDERS — Ricky Warwick, Scott Gorham, Damon Johnson, Robert Crane and Jimmy DeGrasso — return to the studio with "The Killer Instinct" producer Nick Raskulinecz (RUSH, FOO FIGHTERS, KORN), at his studio just outside Nashville. The resultant album is BLACK STAR RIDERS' most accomplished work to date. 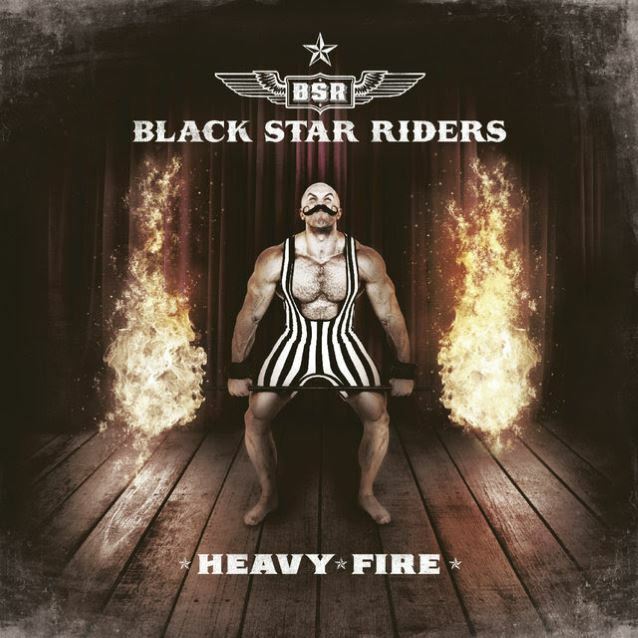 From the immediate riffs of album opener "Heavy Fire" to the instant hooks of first single "When The Night Comes In", from the dirty bass groove of "Thinking About You Could Get Me Killed" to the familiar and trademark dual guitars of Gorham and Johnson on "Testify Or Say Goodbye", this is an album that will further cement BLACK STAR RIDERS' reputation as one of the world premiere rock acts. "Angst, passion, power, glory, love, truth, lies, loyalty, questions that begged to be answered. There's a guitar army coming…and it's bringing the 'Heavy Fire'!" said Warwick. "Not many new bands get to record three albums these days," added Gorham. "Without doubt, this is BSR's best album so far. We had a great time recording it and can't wait to play the new songs live on tour in March."